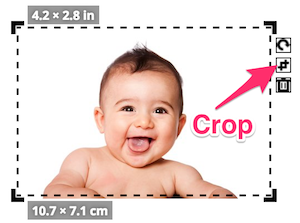 If you only need a part of your uploaded image to be on the page, you can use the crop button. 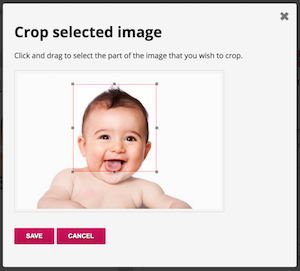 This allows you to select the specific area of the photo you need for the design. Simply press the crop button at the top right of the image, for a box to appear with the image in. Then click and drag to select the part of the image you want to display, then press Save.